The City of Hermosa Beach is located in the Southbay area of Los Angeles County known for its reputable scenery, beach, and social establishments frequented by Hermosa Beach locals as well as Los Angeles County residences. With fun and pleasure may come instances where one is arrested by the Hermosa Beach Police Department. Whether it be for DUI, bar fighting, or other offenses. In these unfortunate instances, one should consider a Hermosa Beach Criminal Defense Lawyer to represent them who knows the area and prosecutors and frequently handles Hermosa Beach criminal cases in order to obtain the best possible result. Don’t assume that because you’ve been arrested for a crime automatically means you’re guilty of a crime. If you suffered from a misdemeanor or felony arrest, your case will be forwarded to the Los Angeles District Attorney’s Office for review and formal criminal filing. 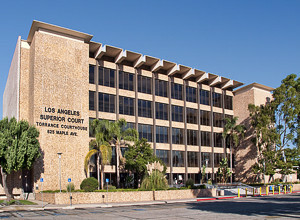 Regardless of the severity of the arrest, all criminal cases will result in charges filed at the Torrance Courthouse. Hermosa Beach Defense Attorney John Rogers initially developed rare unique training from the nation’s most reputable prosecutors and defense attorneys. Mr. Rogers now devotes his entire practice exclusively to defending those accused of criminal offenses. He’s passionate about his client’s rights and strives to earn a case dismissal or acquittals at trial. When necessary, the Law Offices of John D. Rogers will employ investigators and defense experts to closely examine and analyze the government’s evidence for any technicalities to obtain a full case dismissal or substantial reduction of the charges. Mr. Rogers represents those accused of theft, weapon offenses, drugs, up to violent felonies and homicide cases. If you suffer from an arrest within the City of Hermosa Beach, call John Rogers 877-888-9820 now! The Law Offices of John D. Rogers has a division solely devoted to representing those accused of driving under the influence in Hermosa Beach. Whether you’re charged with a first time DUI, or have multiple prior convictions, it’s important your case is handled with proper and confidential guidance. Just because you were arrested for suspicion of DUI does not mean you’re guilty. A DUI can have substantial consequences from losing your licenses, probations, substantially high court fines and even jail time, which is why Mr. Rogers will personally handle and examine your case to find certain technicalities which may result in a complete dismissal or reduction. Hermosa Beach DUI Attorney John Rogers will strive to achieve the best possible result and help you move on with your life. Early intervention by the Law Offices of John D. Rogers could be the difference of having your case rejected versus having to serve time in Los Angeles county jail. When deciding whether to file charges, the prosecutor will examine the evidence very narrowly. Moreover, the prosecutor will only read and examine the police officers arrest report and base their decision on the opinions of the officer(s). However, when appropriate, Mr. Rogers can put together a mitigation package consisting of your side of the story, exculpatory evidence, or evidence of your arrest being a misunderstanding in an effort to convince the filing prosecutor to reject the case completely and avoid charges from ever being filed against you. Whether you’re charged with a DUI or violent felony, the Law Offices of John D. Rogers may employ expert witnesses and/or defense investigators to conduct a thorough investigation of the prosecutor’s evidence. Experts may include: DUI Blood Alcohol Experts, Former LAPD Police Officers, and Eyewitness Identification experts. Every client retaining the Law Offices of John D. Rogers deserves nothing less than a thorough, confidential, and complete investigation of their case. Mr. Rogers focuses a substantial amount of his representation analyzing unlawful search and seizure issues in violation of his client’s Fourth Amendment right. All search and seizure issues are extremely fact specific requiring a detailed exploration of the evidence commonly overlooked by other lawyers. Whether it be an unlawful traffic stop, unlawful detention, and unlawful searches into your car, person, or home. If you are under investigation, arrested, or charged with a crime by the Hermosa Beach Police Department, contact Hermosa Beach Criminal Defense and DUI Lawyer John Rogers at the Law Offices of John D. Rogers. Call 877-888-9820 now for a free confidential consultation concerning your rights and defenses. There is no obligation and Mr. Rogers is available 24 hours a day, 7 days a week.